school age extended day care! Friends and fun at Brandi’s Place! Brandi’s Place offers before and/or after school programs that are above and beyond what you will find at the public school options. We try to enrich our children with a host of COOL activities that they will love learning and school. Once your children experience our Extended Day program, they will never want to go back to the public school option! 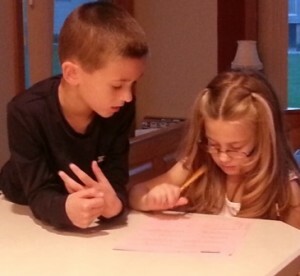 Homework is an important part of after school care. 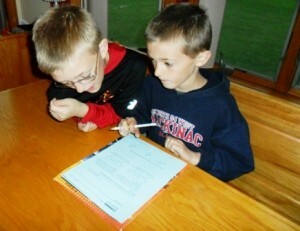 The Brandi’s Place staff provides each child with homework help if they need it. We allow time for each child to sit down and work on homework so that after you pick up your child the rest of your evening can be spent in family time. We also welcome the older children to assist younger children in their homework or to help them in arts and craft projects. This allows the older children to feel useful and appreciated. It also eases awkward feelings of being too old for daycare. At Brandi’s Place, we strive to make each child feel as comfortable as possible, regardless of age. After homework is done, children can participate in a variety of activities of their choice. Children can play outside on our fun outdoor playground (weather permitting), do an art project, create a play or engage in one of the many other activities that we have available. You can depend on our safety standards as we keep your child in a secure environment that will keep them fully engaged, learning and having FUN. Our program is designed to be convenient for both parents and caregivers. After school care begins when the children get off the bus until we close at 6:30 pm. One tremendous advantage with our after school care is that we keep going through school vacations and days off. With the exception of major holidays you can depend on Brandi’s Place to provide a great environment for your children to learn and grow. Full day programs are available during the days that schools are closed or during summer vacation. 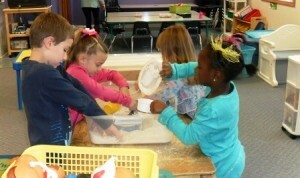 Summer and extended day programs offer a challenging and fun time filled with age-appropriate activities. More than that though, all programs are aimed at building a child’s confidence and skill sets while they have fun. Time is devoted to individuals and also to small group projects that encourage independent work that is monitored and guided by our staff and teachers. In the summer we have many options available for each child such as cooking, soccer, arts and crafts, knitting, nature walks, and much more. Please Contact Us today for more information about our programs and curriculum. Call (810) 655-3444 TODAY for Your Child’s FUTURE!